Ideally located in the Rocky Mountains near Lake Dillon, this Ramada Frisco hotel is convenient to skiing at Copper Mountain and Breckenridge, snow tubing or mountain biking and hiking at Frisco Adventure Park, local history at Frisco Historic Park and Museum, outlet shopping, and many local restaurants. 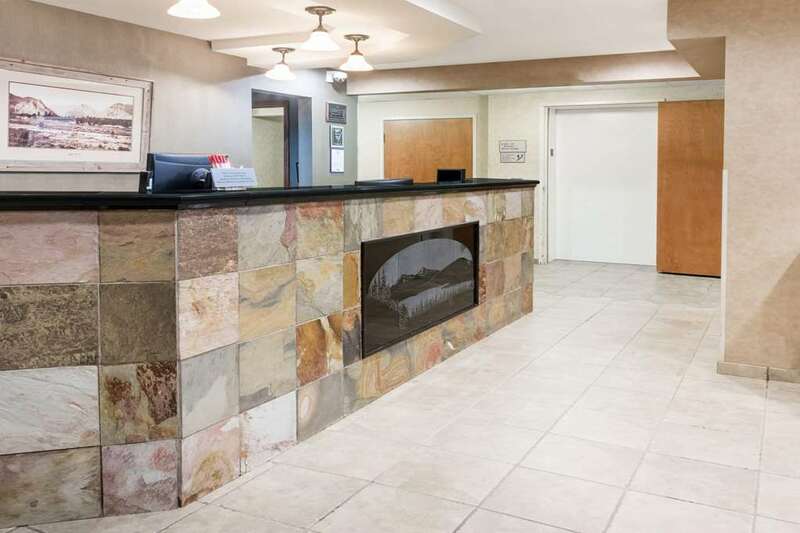 After an exciting day, refresh at this smoke-free hotel with complimentary wireless Internet access, complimentary continental breakfast, hot tub, complimentary local shuttle service, complimentary ski lockers and bike racks, and business facilities include fax and copy services. Guest room amenities include desk, coffee-maker, flat-screen TV and complimentary newspaper. Handicapped-accessible rooms are also available. There is no charge for children 17 and under with an adult. Pets are welcome at this hotel. In room safe also available for a nominal fee.